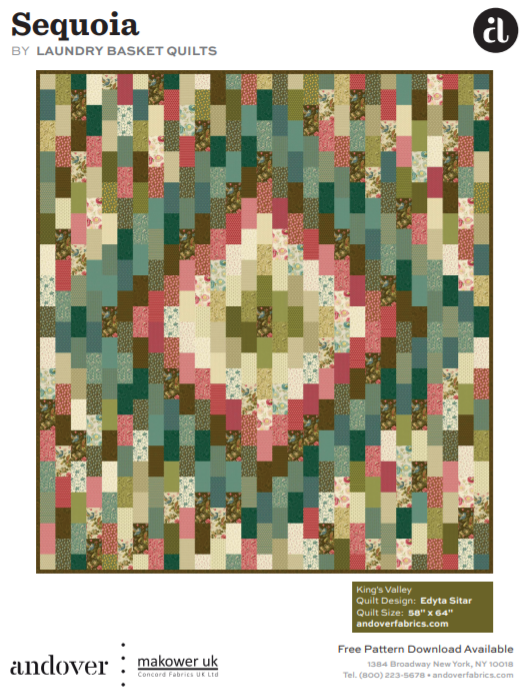 Free Pattern download (PDF) for the King's Valley quilt, designed by Edyta Sitar of Laundry Basket Quilts, featuring the Sequoia collection of fabrics by Andover Fabrics. A lovely strip quilt. Finished size 58" x 64"